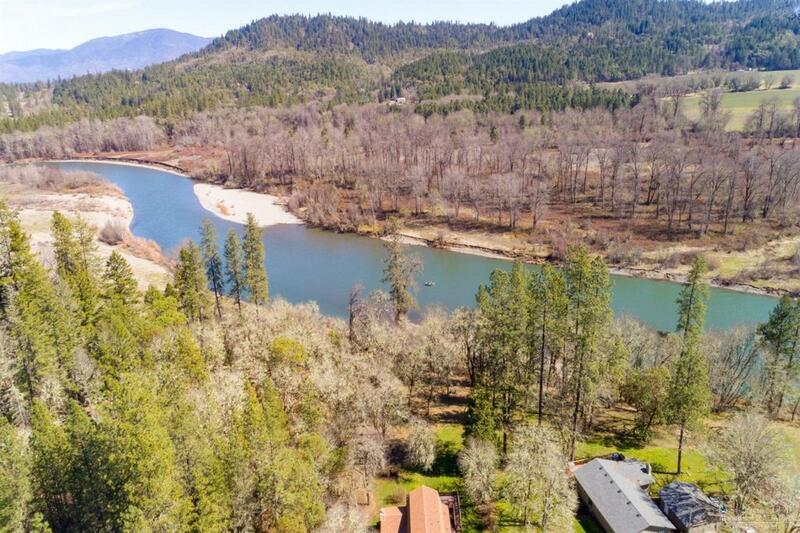 Your river house retreat home on the Wild and Scenic Section of the Rogue River. Home sits on 3.17 flat acres. View of the Rogue River is enjoyed from your upstairs private deck that is adjoined to the master bedroom. From your private getaway you can watch and listen to the bald eagles directly across the river from your home. Each summer these raptors return to have rear their young approximately 120 yards from your home. Walk your private path down to the river for your river enjoyment. Rafting, power-boating and fishing awaits you. Two salmon runs, two steelhead runs, one coho salmon and one cutthroat trout run returns to the Rogue each year. Supply of this type of home is limited as The Wild and Scenic rivers act of 1968 prohibits the building of new homes within 1/4 mile of the river.